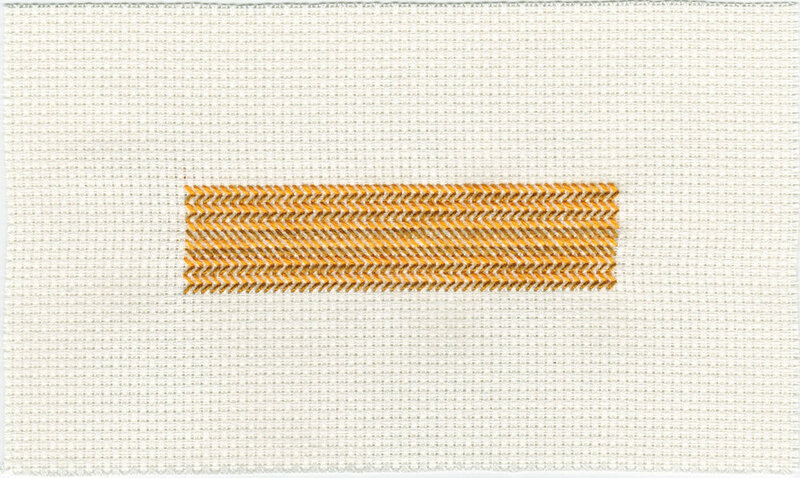 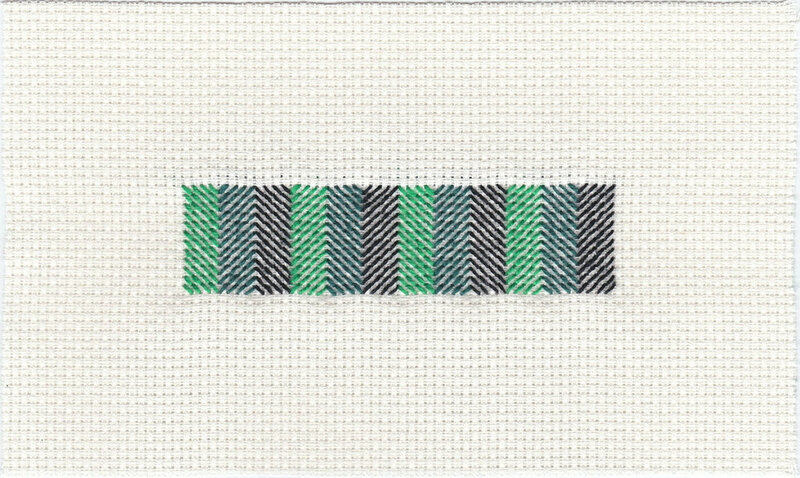 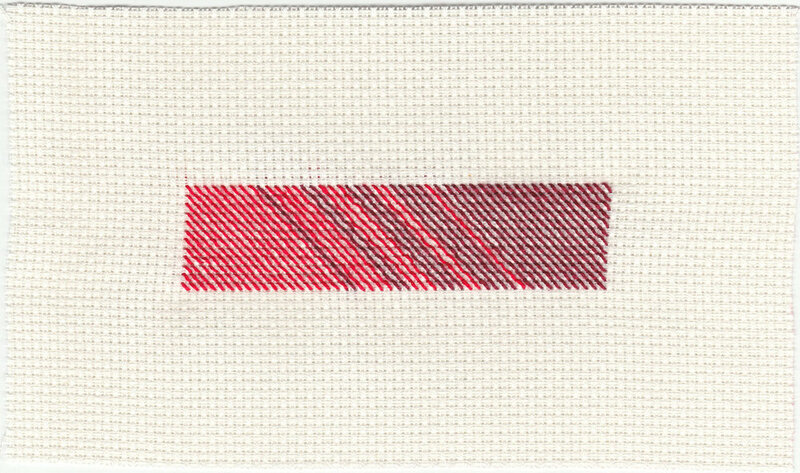 Ten embroidery studies created for Pameran Poskad 2018, a group exhibition of postcard-sized artworks (15 – 24 June 2018, ION Art Gallery, Singapore). 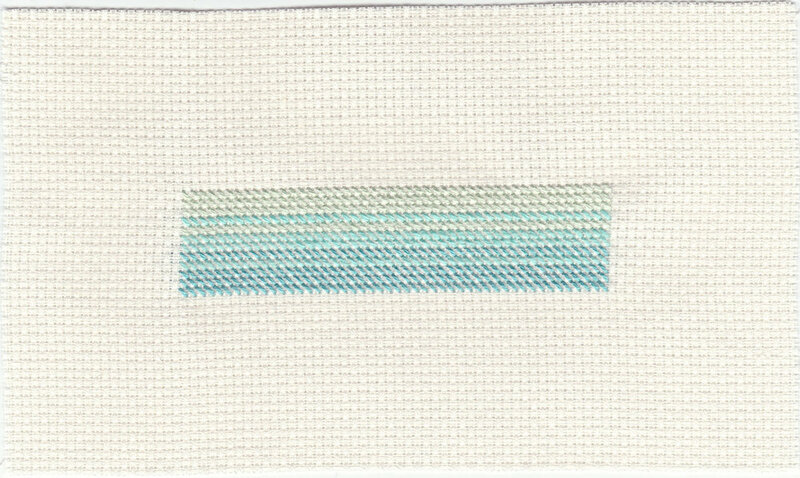 Provided with ten plastic slips in which to fit artworks of any medium, I cut Aida cloth to fit each slip exactly, and did a series of abstract colour studies using pearl cotton thread. 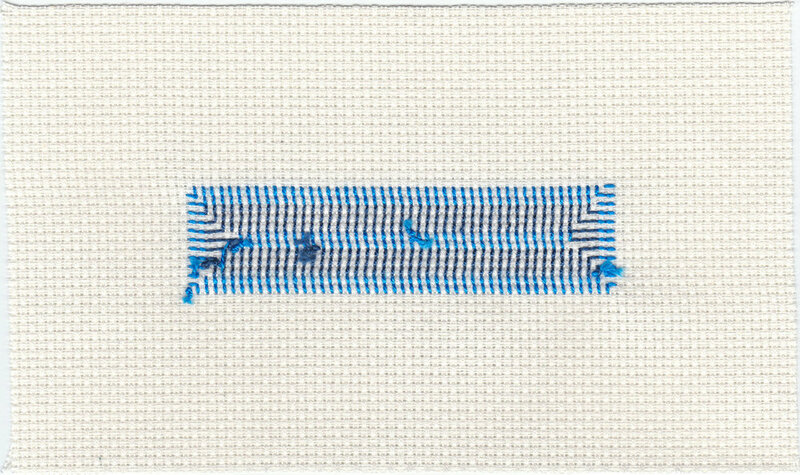 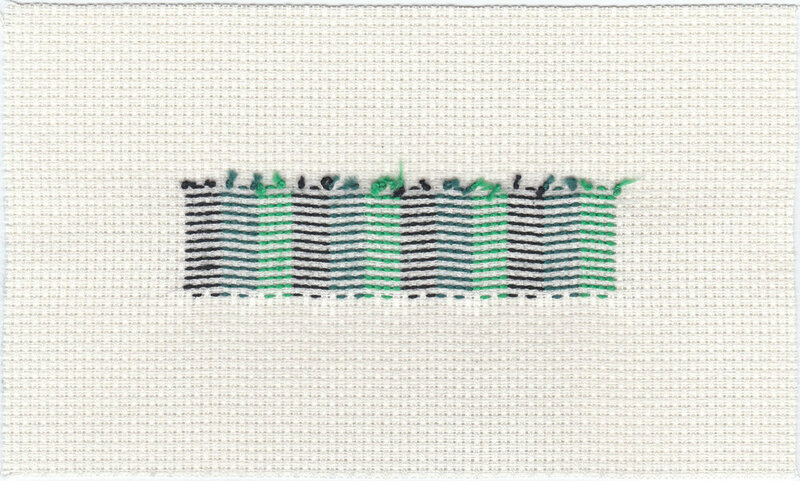 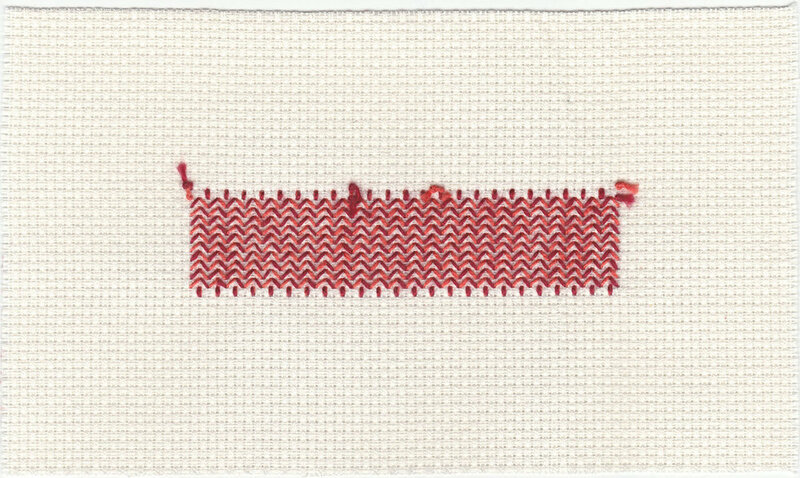 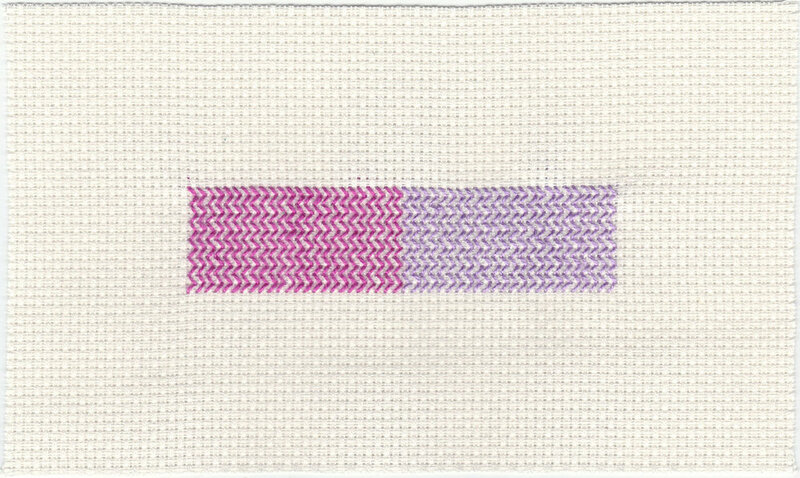 Each study measures 12 diagonal stitches down and 48 diagonal stitches across, taking care to create a regular pattern on the back as well as the front.